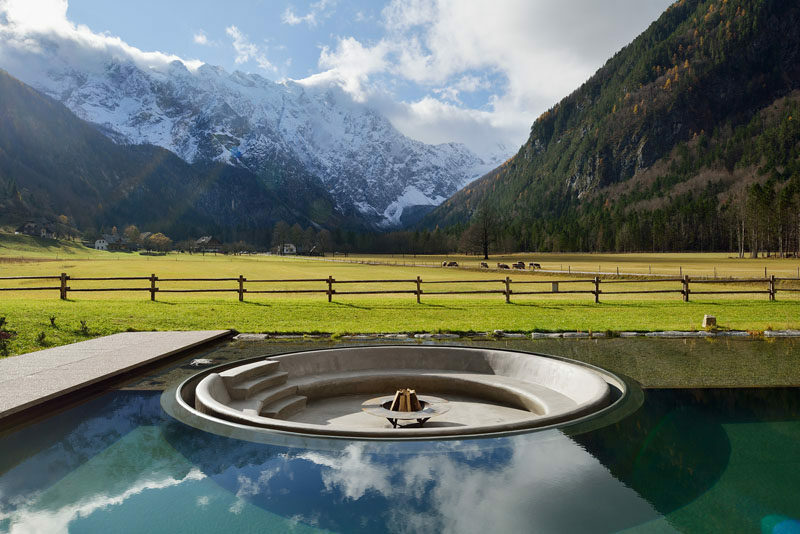 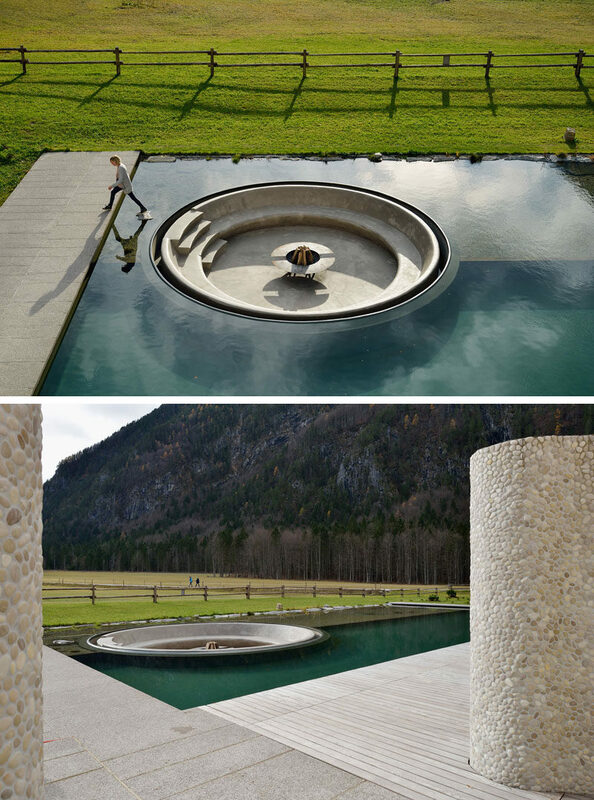 Architecture firm ENOTA were commissioned by Hotel Plesnik, a boutique family hotel in Slovenia, to create a wellness center, and as part of the design, they included a sunken firepit within the swimming pool. 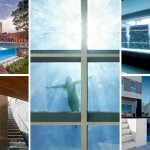 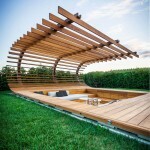 A built-in bench that lines the sunken rest area and is reached by stepping on a single stepping stone between the pool deck and the sunken area. 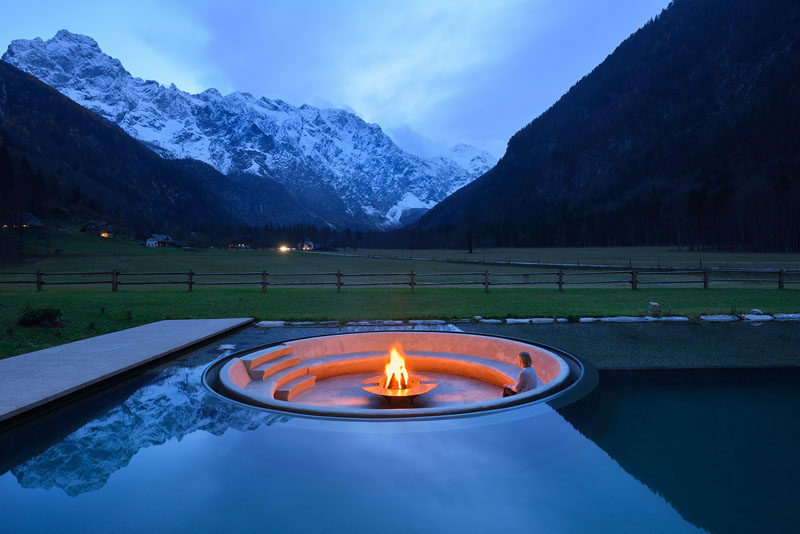 At night, guests of the wellness center can relax by the fire, and take in the views of the Kamnik-Savinja Alps.